Rosa is a principal and general counsel of Avenir Holdings, LLC and the Landstar group of companies. 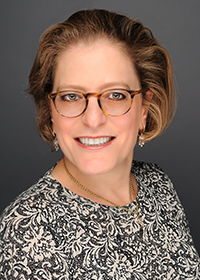 In that capacity, she oversees all activities related to deal management, public outreach and planning, and is also responsible for all legal affairs for the Landstar group of companies. For the past three years, Rosa has spearheaded the approval efforts for Avenir, a planned approximately 4700 acre mixed use community in the City of Palm Beach Gardens. Rosa graduated from Harvard University with an A.B. in government in 1988 and received her J.D. from University of Miami in 1991. Following law school, Rosa worked at large law firms, including Baker & McKenzie and Kirkpatrick& Lockhart. She later served as general counsel for Centres Inc., a national retail developer, before joining Landstar in 2003. Rosa is originally from Mexico City and moved to the United States in 1976. She has been married to Beno Schechter for 22 years and together are the proud parents of Ariela (21) and Sammy (17).